The question usually stems from a desire to make their own. Your artistic expression and creative method will be unique to you. After all, isn’t that what art is all about? The art form of comic books combine writing with illustration to tell a story. Just like you, we want to tell stories. Ours are delivered in several formats, but this topic focuses on our comic book storytelling process. Ultimately, you will discover your own process, but it all comes down to just do it. The biggest word of advice we give covering the entire process is Budget. To figure out what your budget is, take into account your skills, time and resources. Can you draw people or environments or do you want to learn how? How long will it take you to draw a character, a panel, a page, etc.? Another time factor to consider is, when you will be able to work on the project outside of work, family and school commitments? Resources can come in the form of editor, book layout/pre-press person, script supervisor, additional artists and many many more. Pentavis Comics are Computer Generated Comic (CGC) books. 3D software is used to create characters, props, environments, cameras, lighting, etc. The cameras create images that you see as panels on a comic book page. Photoshop and Illustrator are used for textures. It is all brought together in InDesign to go to print or digital. This is our Production Process. Our Creative Process is based on movie-making methods. It starts with a script. We storyboard the script. With a storyboard we can create mockup scenes to see how things flow. The last step is creating the final images. There are many sub-steps during the process, but you will see them and how it all comes together in this blog series. The script is instrumental in knowing most everything about the project. It sets characters, environments, shots, moods and much more. An asset to your script is to create bios for each of your characters. Also, take notes about places and things to weave into the richness of your script. To learn more about script writing, check out this Wiki page. When writing it, always keep in mind your Budget. Can you write and design as many different characters’ backgrounds, personalities, interactions, etc. that are required? We challenged ourselves with setting our 3D characters up for animation. This technique, in addition to troubleshooting it, added time to our Budget. Can you illustrate the environments where your story is taking place? We had more locations in Solinox #1 than previous projects. The amount led to a lot of time modeling and texturing every prop. The lighting was different for each set and was dependent upon interior or exterior shots. Do you have the time to invest in the size of the script? The shot list will give you a rough estimate of how many panels you may need. They will ultimately be set by page count and modifications during the finalization process. 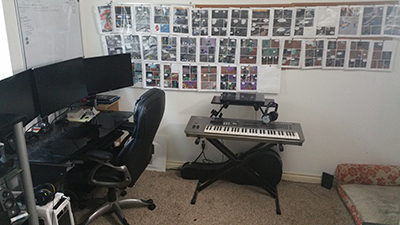 This will be covered in Part 2 – The Storyboard and Part IV: Finalizing Your Comic Book of this blog series. Skill challenge #1 – Build a private jet and its interior to match our art style. Skill challenge #2 – Build a construction site with diverse props. Skill challenge #3 – Create a rig to drive character poses/movement. Skill challenge #4 – Create VR images from our sets. Now that you have the big picture of your comic book, you can begin the writing process. Your lively characters come into play as they act out their parts. The rich environments bring mood and theme to the story. Your writing skills tell a story that will be complemented by visuals in your new book. 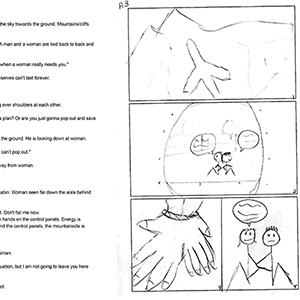 This blog series will continue with How You Can Make a Comic Book: Part 2 – The Storyboard. 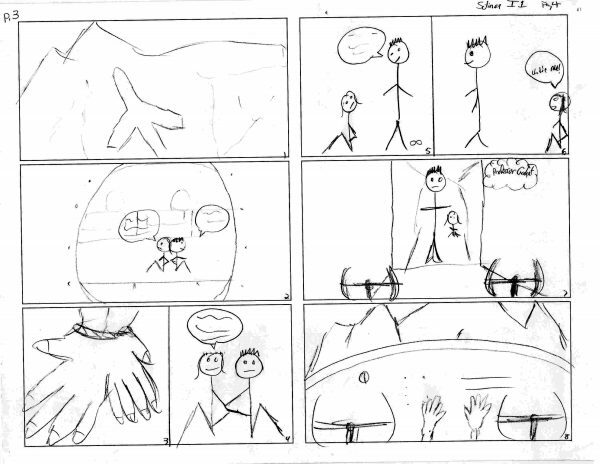 You will discover a method of visually outlining your script to fit the comic book product. As you can tell, hand-drawn illustrations are not our strong suit. Thank you for taking the time to read. If you liked this post, please pass it on and follow us on social media. We hope to hear from you. Posted in Comics and tagged comic books, Pentavis, solinox, VR.